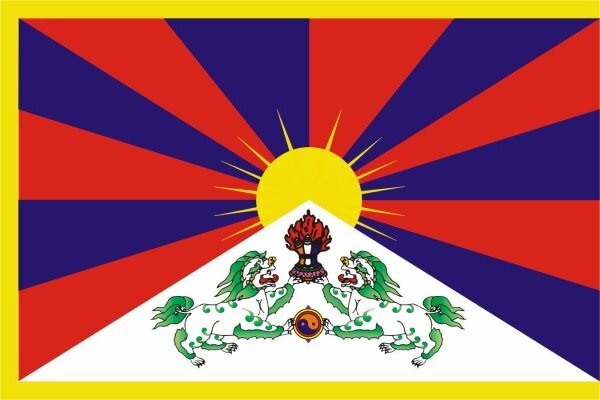 The Department of Education (DoE) of the Central Tibetan Administration in Dharamshala is organising the first Education Advisory Committee Meeting of Tibetan schools on 5-6 June 2013. The first Education Advisory Committee Meeting of Tibetan schools is being organised by Department of Education (DoE) of the Central Tibetan Administration in Dharamshala from 5-6 June . According to the Central Tibetan Administration, the meeting is being conducted as part of the 14th Kashag's prioritisation of education and academic excellence. In his opening remarks, Sikyong and Education Kalon Dr Lobsang Sangay said the meeting aims to solicit profound and substantive advices from the participants to improve and upgrade the education system of the Tibetan community. He also expressed his hope that the inspiring and motivating suggestions and contributions of the advisory committee members will bring the much needed exposure and ground breaking innovations in the education system. He said a sound education is the most important construct that will strengthen and sustain the Tibetan community. And as a mark of respect and gratitude, Sikyong highlighted the immense contributions made by former Indian prime minister Pandit Jawaharlal Nehru and His Holiness the Dalai Lama towards the education of Tibetan youths since 1959. The two-day meeting will also discuss the qualification and profile of a teacher, quality of education, importance of language proficiency, school management, and higher education policy. Members of the first Education Advisory Committee meeting include Tharlam D. Changra, Principal and recipient of National award from former President A P J Abdul Kalam, Arbind Kumar Jha, Dean, School of Education, Central University of Himachal Pradesh, Arun Kapur, noted author and Executive Director of Vasant Valley School, Prof. Krishna Kumar, a Padma Shri recipient, former Director of NCERT and Professor of education at University of Delhi, renowned Professor Ramu Manivannan of Madras University, Furqan Qamar, Vice Chancellor of Central University of Himachal Pradesh, Kamala V. Mukunda from Centre for learning, Bangalore and Ashok Thakur, Secretary, Department of Higher Education, MHRD. Other members also include Ngawang Samten, a Padma Shri recipient and Vice-Chancellor of Central University of Tibetan Studies, Sarnath, Samphe D. Lhalungpa, Education consultant from Canada, Nawang B.Phuntsog, Associate Professor of Education, California State University, Fullerton and Duke Tsering, Principal, Tibetan Children's Village School, Selakui. Representatives and heads of various Tibetan schools are also attending the meeting. The Education Advisory Committee was established to provide guidance to the education department to improve the standard of education in Tibetan schools by assessing the existing situation and drawing necessary action plans.